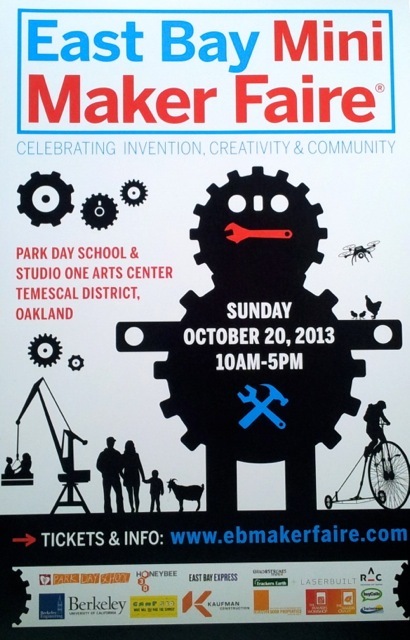 As I read about the first robot that rang the Nasdaq bell to kick off the robotics industry stock index, I instantly remembered a man who spoke up after Dale’s presentation during Q&A at the first-ever East Bay Mini Maker Faire. I empathized with the fear of losing one’s job yet I found the increasing use of robots in everyday life to some degree comforting. My aunt was a union worker who toiled under intense work conditions. After several years, like many of her colleagues, she had to go on disability as a result of slowly deteriorating her joints on the job. She had to undergo painful surgery, her employer had to pay expensive worker’s comp costs in addition to spending the time and money required to replace a good employee. Everyone lost. Robots are being built and tested to execute jobs that are too dangerous, injurious, inconvenient, or nearly impossible for humans. Like any well-designed technology, robots are meant to make life better in some way, whether it’s safer, more convenient, or more enhanced. Meet Leonardo1 Robot, created by Martin Wojtczyk, in partnership with Bayer Healthcare and TU München. 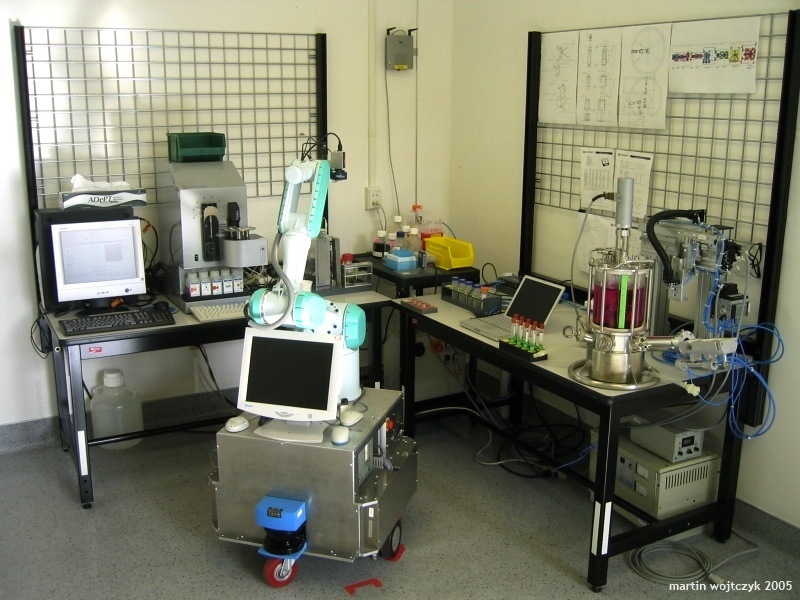 When a company replaces humans with robots, workers can take up more advanced or fulfilling jobs given the proper training, companies can see increased production, and consumers may experience lower prices as a result of operating efficiency. Workers are no longer bound to a job that can cause permanent injuries, freeing them to explore whatever it is they were placed on this earth to be. Not just to be “two legs and two hands” to labor but to create and express. 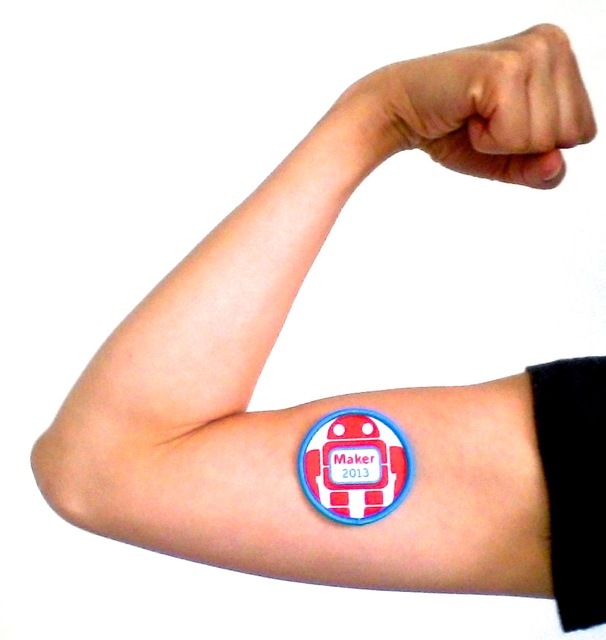 The Maker Movement, an uprising of individual ideas and expression, would welcome anyone with open arms. It is not exclusively technology oriented but includes anyone and everyone from all walks of life. David T. Lang, once unemployed then became co-founder of OpenROV, wrote a book about his journey and how to join the maker movement. 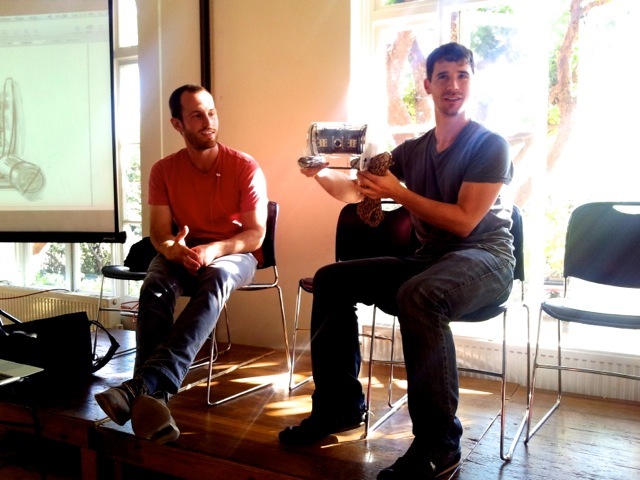 David Lang and Eric Stackpole explain the inner dynamics of their underwater robot, OpenROV, at this year’s East Bay Mini Maker Faire in Oakland, California. 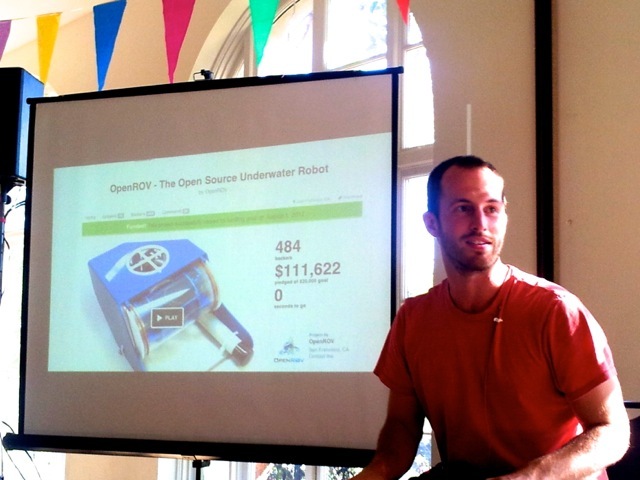 OpenROV made its humble beginnings on Kickstarter.com, a crowdsourcing platform. As software continues to enhance all facets of everyday life, the new economy will be one driven not by labor itself but by the powerful minds and creativity of humankind. Thank goodness the tech industry is arguably the most democratic and progressive. With more and more tech events offering free passes to anyone interested, Maker Faires sprouting to more and more cities all over the world, and free high-quality classes offered online through sites like Udemy, Codecademy, Udacity, and Coursera, anyone can be anything they want to. Find the Maker in You.